For those Beatles fans who think Marc Lewisohn is a being a bit presumptuous with three giant tomes on the Beatles lives and career, I’d like to introduce you to Jude Southerland Kessler who is planning to write 9 books on John’s life. Scoff if you will but Ms. Kessler is now accepting orders for the 4th book in her series. In my continuing series on serious Beatles fans who have taken on the band as their life’s work, here is Part 1 of my interview with the ambitious Jude Southerland Kessler. Please enjoy. Donovan Day: Ms. Kessler, how did you come by your Beatles obsession? Or maybe you call it something else? Jude Southerland Kessler: I’m not sure that I really have a Beatles’ “obsession.” I mean, I attended my first Fest for Beatles Fans when I was in my late 40s. I was never (until Freda Kelly graciously gifted me with an official card for my birthday two years ago) a member of The Beatles Fan Club. Yes, from December 1963 on, I was always an ardent Beatles fan…but I never saw them in concert or skipped school to stand in front of a hotel, waiting to see the boys lift a curtain. Instead, I was a serious, studious girl who finished high school a year early and went on to college to get two separate degrees (one in history and one in English) in three years. Going straight into the Master’s program in English at the University of Maryland, my life’s goal was to write an in-depth narrative history that would stand the test of time. And the person whom I thought I knew best (and who would be most interesting to readers) was my favorite Beatle, John Lennon. Of course, over the next few years, as I researched John’s life extensively, I found that I had known very little about him! But the more I read and interviewed and studied, the more fascinated I became with this hero over tragedy. I found his life story poignant and extremely important – I believed his biography to be (and still believe it to be) a story that every single person should know. And the more I considered writing John’s story, the more convinced I became that this was the task I had been born to do. In 1986, I began collecting 100, 200, 500 books about John and The Beatles. I began amassing audio tapes, 1960s periodicals, Beta-Max tapes, and later CDs, DVDs – anything I could get my hands on that would give me a clear insight into John’s life. 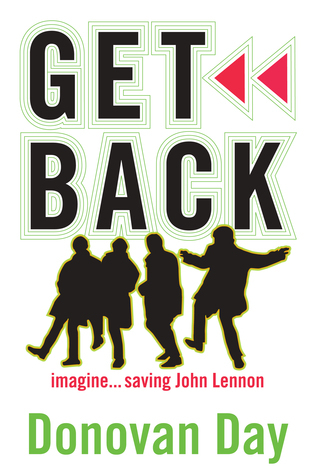 After six years of secondary research (eight days a week), I had saved enough money to travel to Liverpool to interview John’s college mates, early band members, family members, Quarrybank teachers and friends…all of the people Merseyside who had shaped John’s life or touched it in some way. For the next seven years, primary research became my mission; my husband and I traveled back and forth to Liverpool, interviewing as many of John’s associates and friends as we could. Those interviews fanned the flames. The more I learned about John’s life story, the more I wanted to share it with others. You see, John lived a life “in spite of.” He plowed through a difficult existence, determined to succeed, no matter what. Most ordinary people would have been stopped in their paths by the overwhelming catastrophes that accosted John as a young boy and teen. But never once did John Lennon let life defeat him. And not only did he move forward, but he also transformed his pain and misery into the magnificent soundtrack of our lives. That is a singular accomplishment. That’s a story we all need to read, digest, and remember. I believe it’s a story worth devoting one’s life to. DD: Why did you decide to write all these books (9 is it?) on John alone and what are you trying to achieve? JSK: My original goal was to write one comprehensive narrative history on John’s life. But after 20 years of research, writing, and editing, my “one” book, Shoulda Been There, was over 1,000 pages long, and in that 1,000 pages, John had only reached age 21! Now remember, the years covered in that first volume were the least documented years of John’s life! Ahead of me lay the decade in which every single move that John (and The Beatles) made was recorded for posterity…when every day was chock full of memorable events…when John’s life became crowded with moments too important to toss aside. So, I regrouped and began to envision three books detailing John’s life story in historical narrative. However, once again…Volume 2 in The John Lennon Series, Shivering Inside, hit 750 pages covering the time span of Dec. 1961-April 1963. Clearly, writing John’s story in three volumes was not possible. Even overlooking certain events and people (all of whom mattered!) still left me with worlds of information to cover, if I were to be accurate and complete. Adam Forrest, my dear friend who runs BeatlesNews.com suggested that in honor of John’s association with the number nine, I tell his narrative history in nine volumes. I liked the concept, and I began to plan for “that eventuality.” Thus far, as I am nearing the conclusion of Volume 4, Should Have Known Better, and the plan is working well. I am still not able to tell every single event in great detail, but I can cover most. I supplement the books with an appendix that includes information not found in the body of the book. And my blogs, radio shows, and interviews provide additional information. This is a life’s work which will take 48 years to complete. It’s an immense task. DD: There are so many books on the Beatles and even John. Why are yours different? JSK: The historical narrative is a complex and seldom used genre. The Greeks used it extensively to preserve their history. Thucydides, for example, wrote his History of the Peloponnesian War using this method of writing so that readers would feel as if they were actually on the battlefield – so that they would never forget war’s grim image. The narrative history tells a factual story that has been researched, documented, and vetted. However, instead of saying dryly, “John did this. John did that…” the narrative historian recreates the event so that it unfolds for the reader. What John says, wears, sings, eats, and does is factual; nothing is added or deleted from historical events. But the moment in history is presented to the reader as a screenplay or a narrative. Writers who enjoy this form of storytelling but want to have more license to invent details and to elaborate upon the truth tend to avoid this complex genre and to use historical fiction as their chosen vehicle. In historical fiction, a writer can stick to the basic story, but can embellish his/her work with trappings that may or may not be strictly true. DD: So why elect to tell John’s life story in the historical narrative fashion? It was always my goal to write a complete, unabridged biography for John without deviating from the facts. His story is good enough, remarkable enough, exciting enough without altering it in any way. But allowing a reader to “be a fly on the wall” when John gets his first guitar from salesman Jim Gretty at Hessy’s or when John meets Paul in the St. Peter’s Church Hall in Woolton makes these events more vivid. Baby Boomers may not need this extra impetus to remember the story, to fall in love with it. But telling John’s life events to Gen-Xers, Millennials, and Gen-Zers in a living, breathing format will (I hope) intrigue new readers, new eyes and ears who will continue to pass John’s story along to their children and grandchildren. Telling a phenomenal story accurately but also effectively? You know that can’t be bad! DD: Can you make a living writing about John? JSK: Making a living off John’s biography is not the goal. The goal is to tell John’s story completely, accurately, and vividly for generations to come. If I do that, I have done what I set out to do. As of today, I make enough money to publish the next book, pay my webmaster and my publicist (both of whom deserve much, much more than I can pay! ), and purchase an ad or two, here and there. And that is all. When I hear people rail about “authors who make a living off The Beatles” as if we are scavengers (dung Beetles, as it were! ), I scoff. Most Beatles authors are hard-working, dedicated, diligent researchers who are very fortunate to “break even” on their investments. Most self-published authors sell an average of 80 books. I have sold 300,000 copies of The John Lennon Series. But I have made only enough money to publish the next volume without borrowing or going into debt. I am blessed to have parents who helped me publish the first volume and a smart, capable husband whose job permits me to do my life’s work. So making money off John Lennon was never my goal. I want to use my life to give a gift back to him, not to use his biography as a means of helping myself. Don’t misunderstand, however. I’m a capitalist. I think working hard to make money is a very worthy achievement. The Beatles were masters of capitalism. They worked constantly and reaped their richly-deserved rewards. But making money was simply not my goal in writing this series. My goal was to touch lives with John’s unique, inspiring story. I hope I’m doing that. DD: John’s reputation is that he was quite lazy and liked to spend his days in bed, often with the help of drugs. Your thoughts? If you don’t mind, I’m going to answer this one by sharing one of my latest blogs. About a year ago, I was asked to write the official blog for The Fest for Beatles Fans, and I was quite honored. I love the Lapidos family and sincerely respect what they do for The Beatles world…and writing for them has been a (volunteer) job that I take very seriously. Anyone who considered John Lennon lazy didn’t know John well. John “worked smart, not hard,” but he worked without ceasing. Even while piled up in bed with his many pillows and guitar, John was never indolent. He was composing songs, listening to the telly for ideas, reading and scribbling notes on a sheet of paper – discovering concepts that he would later put to use. So, in 1966, when he penned “I’m Only Sleeping” for Revolver, John created not a bored and listless throw-away number but a powerful and ironic song. The irony falls upon the word, “ONLY.” John is cheekily saying to us, “I’m only writing a great poem.” “I’m only building something magical.” “I’m only composing.” What Lennon is doing in his room – in his bed – is bigger than “running everywhere at such a speed.” He’s chosen the higher road; he’s chosen to stop, breathe, think, and create. And wonderfully, John’s letting you and me into his half-awake, half-asleep realm: The Land of Incredible Ideas. For those out there who still see this complex song as a nod to the escape world of sleep, you’re also right! In 1966, John was suffering from what today we would diagnose as “clinical depression.” He had all the symptoms. He had gained weight; he was lashing out at Cynthia, the other Beatles, and the EMI staff; he was bored with everything and recklessly displeased with everything. John seemed to have lost interest in the world around him. Therefore, he retreated more and more often into the altered world of drugs and the magical, shadow world of sleep. On a literal level, that explanation of his mood does exist in this song. Float up stream? Notice here that John’s fully-engaged and actully moving against the current. He’s willing himself to progress, to achieve, to be inspired…and to turn inspiration into music. Surely, that’s not escape, is it? No, this is something else. “I’m Only Sleeping” mattered to John. He was very particular about the way he wanted it to be recorded. When he heard the initial playback of the song, John asked that Paul be taken off the vibraphone. Instead, John wanted Paul returned to his Hofner bass, to render that mellow, soft, wistful quality that you hear between the lines. John wanted to “make it dreamier and more mystical sounding.”[iii] Paul was even instructed to yawn around Minute Two. What John was trying to recreate was “the place,” where he could go when he was low, when he was blue. He was, uncharacteristically, inviting us in. John Lennon was admitting us into his inner sanctum. That was and still is quite a privilege. [i] Guesdon, Jean-Michel and Margotin, Phlippe, All The Songs, 328 Rodriguez, Robert. Revolver: How The Beatles Re-Imagined Rock’n’Roll, 101. The voice was over-dubbed and sped up while the rhythm track was slowed down. [iii]Guesdon, Jean-Michel and Margotin, Phlippe, All The Songs, 328 and Rodriguez, Robert. Revolver: How The Beatles Re-Imagined Rock’n’Roll, 130. Rodriguez’s work is a “not to be missed” book on Revolver.